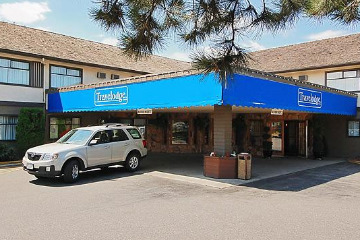 The Comfort Inn's location offers it all - shopping, dining & area attractions, all nearby. Conveniently located just off Highway 1 (Exit 119), we are easily accessible to Chilliwack Heritage Park. The Hampton Inn by Hilton Chilliwack hotel is ideally located off Highway 1 in Chilliwack, British Columbia, less than 20 miles from Abbotsford International Airport. Our hotel in Chilliwack is less than a mile from Heritage Park and under two miles from Chilliwack Cultural Centre and the Prospera Centre.Enjoy a great range of thoughtful amenities at our Chilliwack hotel. Start your day with Hampton's free hot breakfast. 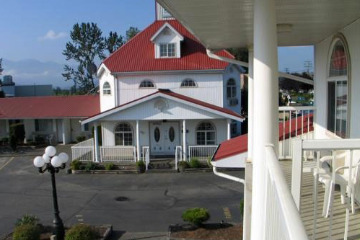 Conveniently located on the historic Yale Road Corridor between highway 1 and downtown Chilliwack, the Rainbow Motor Inn offers affordable, clean and comfortable rooms. All rooms have air-conditioning, fridges, cable tv, complimentary tea and coffee, and easy access ground floor rooms. Our hotel is located on the edge of downtown Chilliwack featuring clean, comfortable accommodations, air conditioned standard rooms, suites and kitchen units or choose one of our Business Class rooms with upgraded hotel amenities. We also offer an Indoor Pool, Hot-Tub, free WIFI, Business Centre, Room Service and IHOP Restaurant onsite.